Your family’s safety and security are no doubt of utmost importance to you. Is anything more important than the well being of those you love? When a medical emergency arises, you consult your physician. 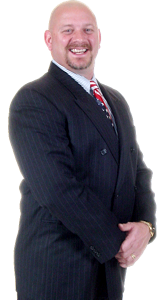 When you face a legal issue, you turn to a trusted professional with the experience and skills to handle your needs. It is no different when it comes to insurance. Having the proper insurance coverage is one of the most important precautions your family can take. Why tempt fate? The time to choose the right professional insurance agent is before you need one. That is where Tim Wortman can help. He is one of Nebraska and Iowa’s leading agents. Helping families like yours isn’t just his job, it’s his commitment. Before you renew your next insurance premium, you owe it to yourself and your family to find out how Tim Wortman and his unique brand of personal service and extraordinary results can make a difference in your life.